I took this shot in my neighborhood with a Panasonic Lumix GX7 macro camera with a 3-D lens, and using frame sides for phantogram processing. The width of this image is approximately 2-1/2". The sun was setting to the left. 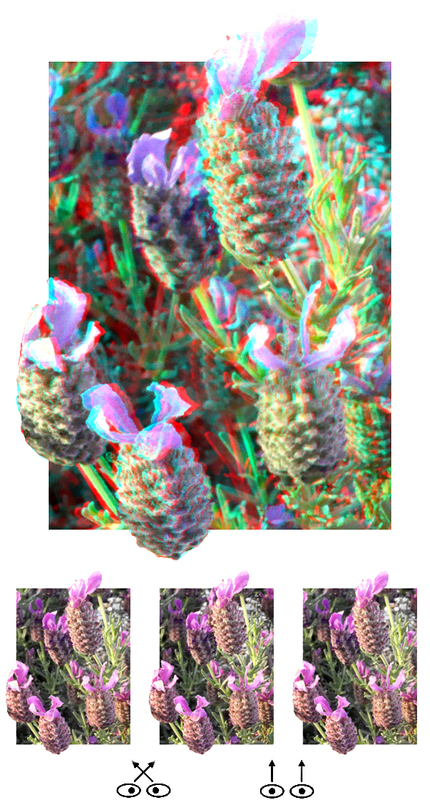 It's a common form of lavender (lavandula stoechas), the blossom's purple body the shape of a tiny pineapple with ascending pinkish plumes. 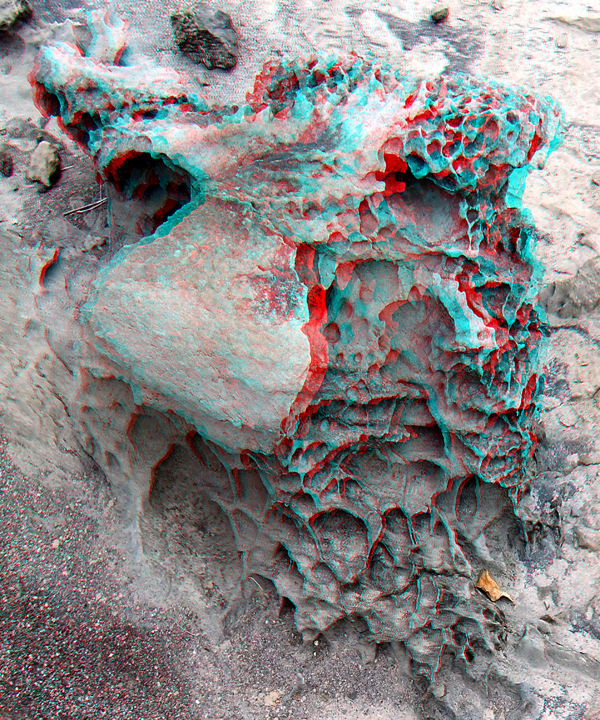 They are great 3-D subjects if but for one problem - their colors don't work well in anaglyph 3-D. 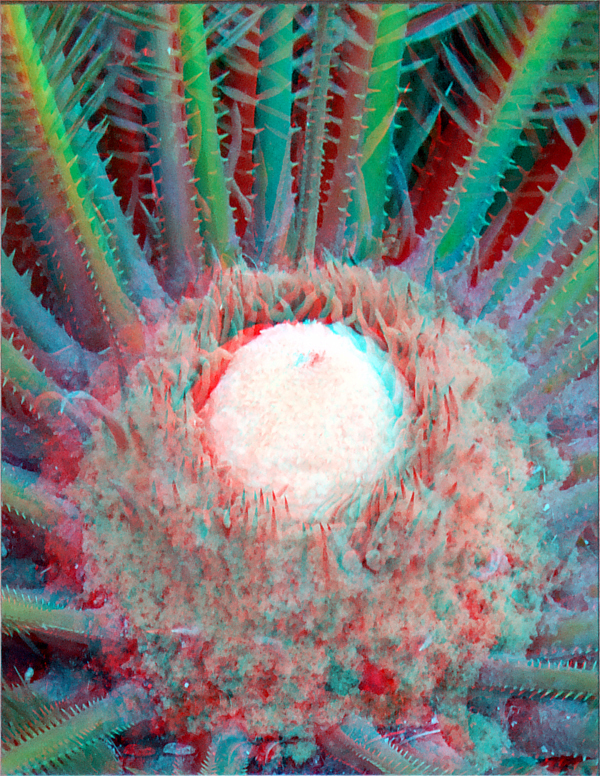 Colors close to the colors of the red-cyan 3-D glasses are problematic, creating "retinal rivalry". 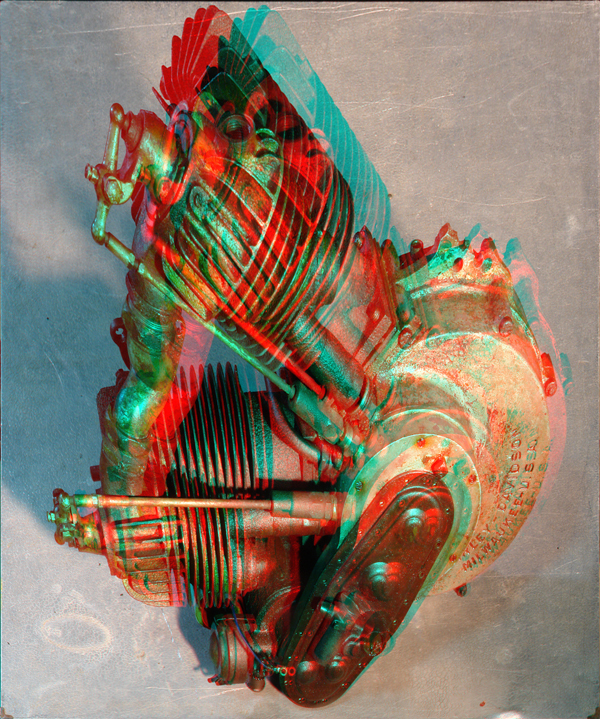 A red object viewed through red-cyan 3-D glasses will look black through the cyan lens and white or gray through the red lens. Try it at home. A lot of retinal rivalry is annoying. 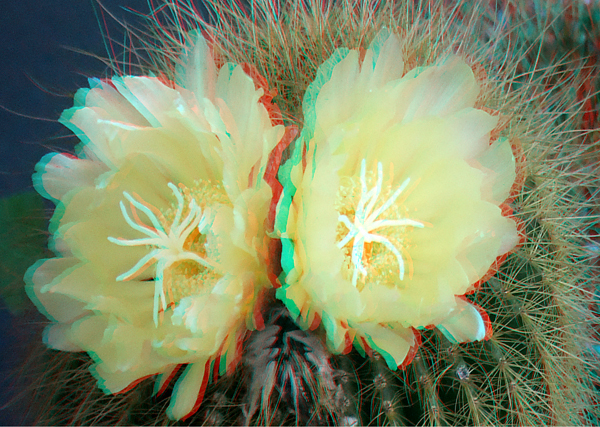 One solution to minimize retinal rivalry can be found in Stereophoto Maker, world renown, free 3-D software. 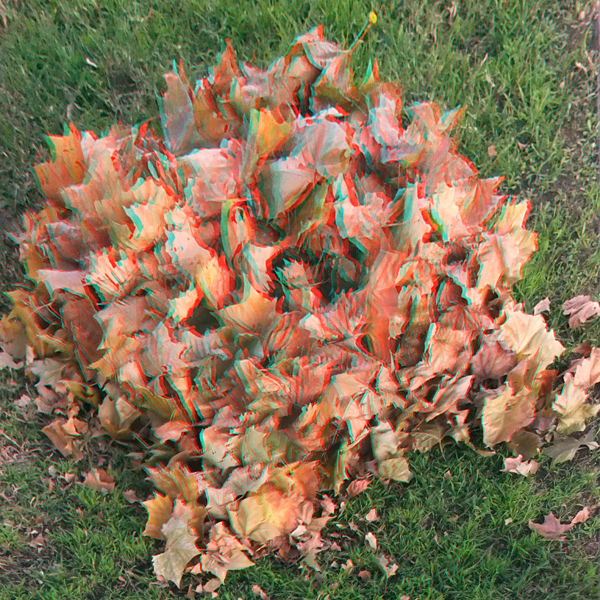 StereoPhoto Maker has a number of anaglyph options. 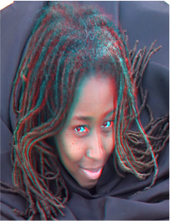 The style I chose for this image is called a "Dubois" anaglyph. 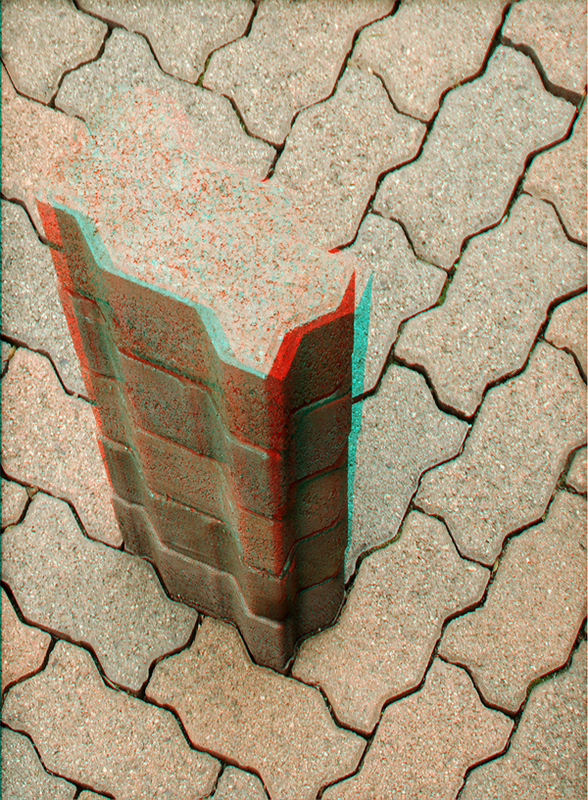 I can't tell you how it does what it does, but in some circumstances it saves an image I'd otherwise not show in anaglyph. 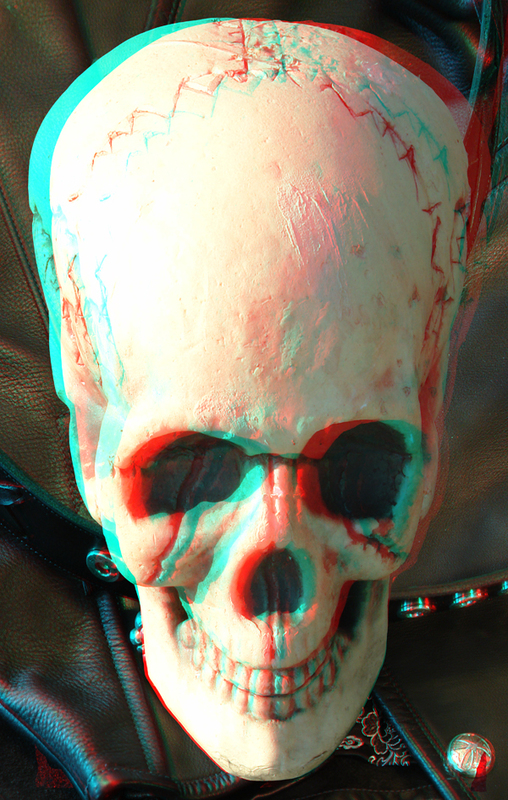 When in doubt I save different anaglyph styles and compare then side by side in photoshop. 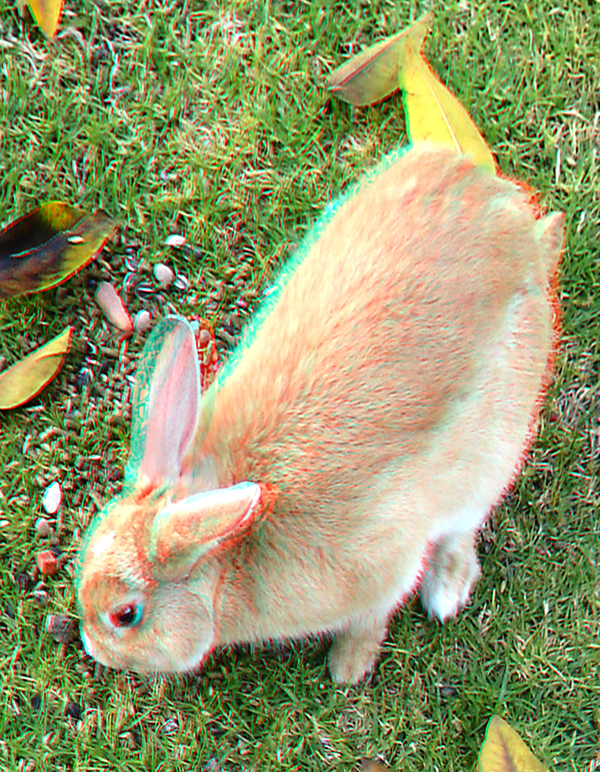 If you'd like to see the (default) color anaglyph image to compare, email me back and I'll send it to you. As to the events this past week, the macabre dance goes on.